DAVAO. Social media post about an alleged attempted kidnapping. AFTER a post about an alleged attempted abduction circulated online, authorities said they have not received reports of such incident, but reminded the public anew to practice discernment on what they read or post online. 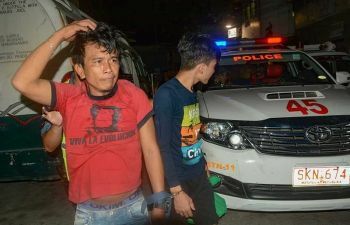 Davao City Police Office (DCPO) director Police Senior Superintendent Alexander Tagum said Thursday that the information about kidnapping that was circulated online is false. 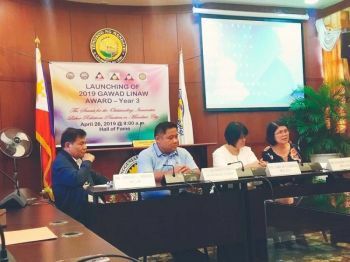 “Marami ng mga fake warnings from scammers - di na ta basta mutoo ana ho [We should not believe right away in posts like this],” Tagum said. 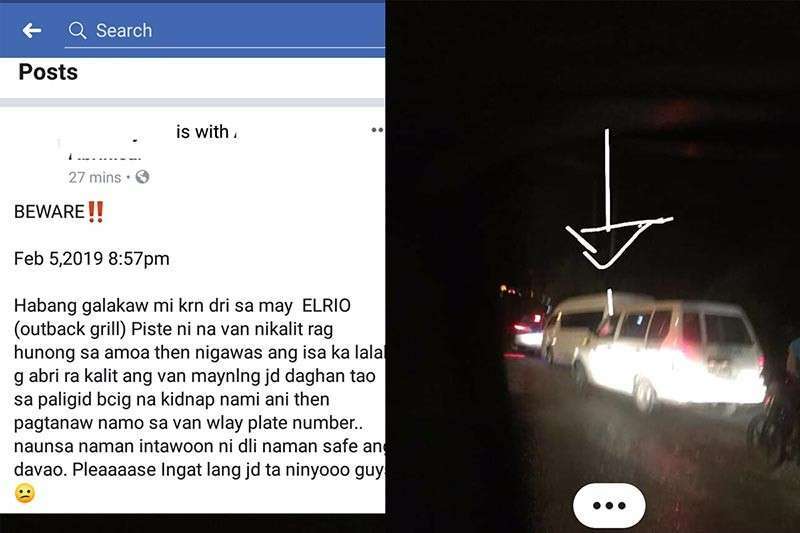 In a social media post, a netizen said that while they were walking along El Rio at 8:57 p.m. on February 5, a white van suddenly stopped in front of them and a man alighted. She was just glad that at that time, there were people in the area that prevented them from being kidnapped. When the van sped away, they noticed that it has no plate number which made them more suspicious that the people onboard might have a bad motive. For his part, Sta. Ana Police Station commander Chief Inspector Michael Uyanguren said there was no report of attempted abduction incident. He likewise reminded the public to be cautious on what they post online. “I advise them dili pataka og post (og) baseless na issue. Dapat maging responsible ta sa paggamit sa social media. Iwasan maka-cause og panic sa Dabawenyo (Let’s not post baseless information online and be responsible in using social media. Avoid causing panic to other Dabawenyos),” he said. Meanwhile, he said they are planning to conduct a simulation exercise related to kidnapping but there’s no specific date yet when they will stage the activity. “We will respond according to a scenario given to us, example hostage taking. This is to enhance the capability of the station on how to respond in situation like this,” Uyanguren said.